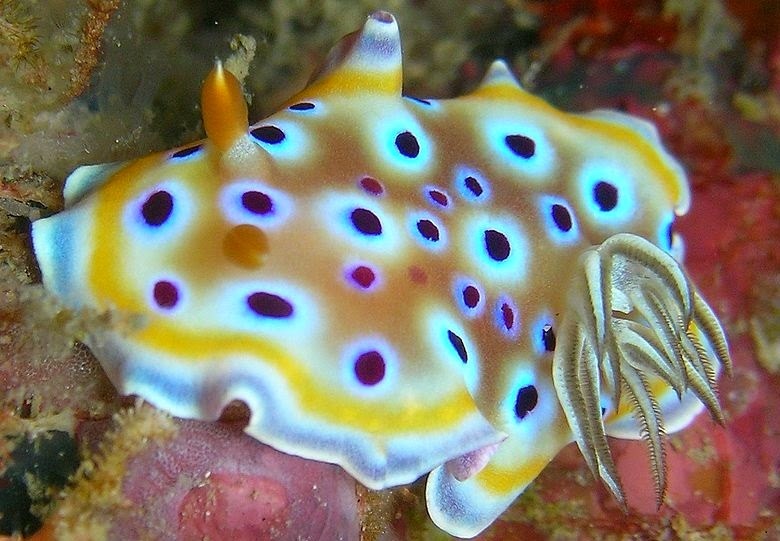 Nudibranchs are one of the most beautiful, amazing and diverse groups of animals found in oceans all over the world. These enchanting and colorful creatures are mollusks from the class Gastropoda. Glaucus atlanticus, or blue glaucus, is one of the two representatives of the family Glaucidae. Interestingly, it floats upside down at the surface of the sea, keeping afloat by swallowing air which is stored in the stomach. The species occurs in all major oceans and adults grow to be 5-8 cm long. Glaucus marginatus is the other representative of the family Glaucidae. It looks like a smaller version of Glaucus atlanticus. Another difference is that the cerata (saw teeth on the skin) are arranged in a single row in each arch. Berghia coerulescens is a species of marine nudibranch in the family Aeolidiidae. The species can be spotted in European waters, the Caribbean Sea, Jamaica, the Portuguese Exclusive Economic Zone, and the Spanish Exclusive Economic Zone. Adults grow to a maximum length of 4 to 7 cm. 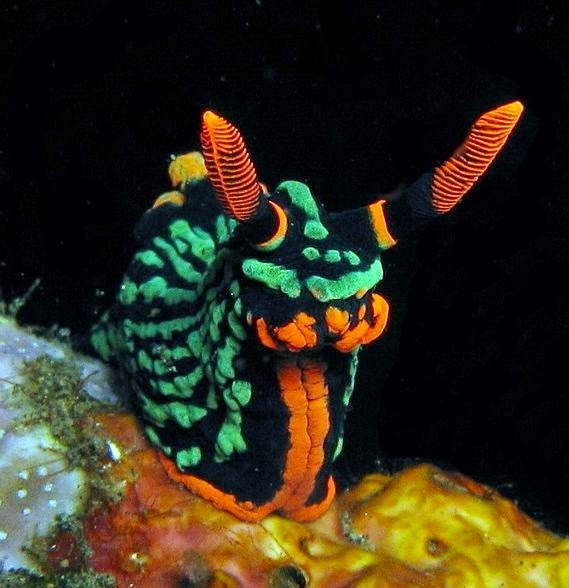 Nembrotha kubaryana, also known as the variable neon slug, is a colorful nudibranch of the family Polyceridae. It occurs in the tropical Indo-West Pacific. Adults can be at least 12 cm long. Felimare picta occurs throughout the Mediterranean Sea (Greece), European waters (Spain, Portugal), the Eastern North Atlantic Ocean (Azores) and the Gulf of Mexico. Adults grow to be about 20 cm long and feed on various sponges. 5. Chromodoris lochiChromodoris lochi, commonly known as Loch's Chromodoris, is a colorful species that can be found in the tropical waters of the central Indo-Pacific region and is known to range from Malaysia, Indonesia, Philippines to the Fiji and the northern coast of Australia. Adults can be at least 4 cm long. 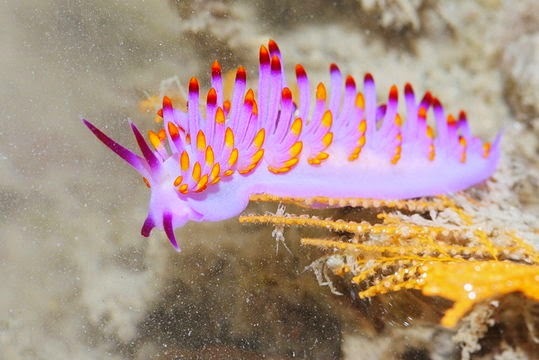 Flabellina exoptata, commonly known as the much-desired flabellina or desirable flabellina. It occurs throughout the tropical waters of the Indo-West Pacific. Individuals can reach a length of 4.8 cm. 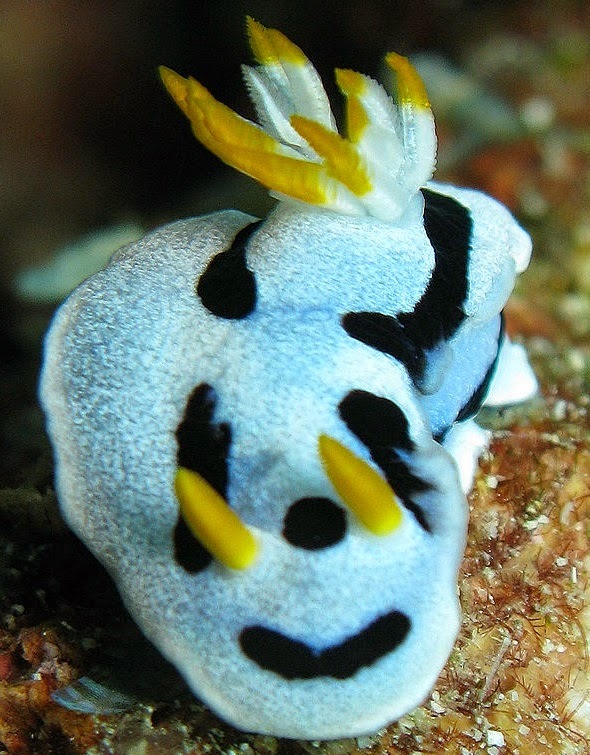 Goniobranchus geminus, a nudibranch distinguished by its yellow body with four color bands around the mantle edge, the outermost which is white, followed by grayish-purple, and then bluish-white then yellow. Doriprismatica atromarginata occurs throughout the tropical and sub-tropical Indo-Pacific area. Their color ranges from creamy-white through yellow to pale brown and individuals can reach a length of at least 6 cm. 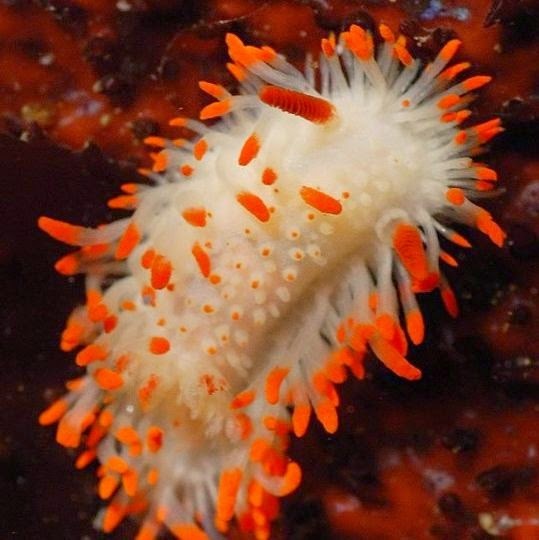 Cuthona sibogae is a common sight in the tropical waters of the Indo-West Pacific region. 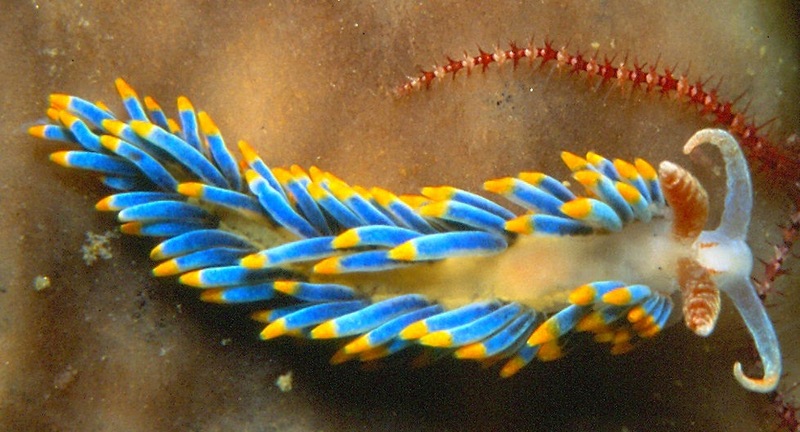 It is a small sized nudibranch, reaching a maximum length of 3.5 cm. Limacia cockerelli is found from the West coast of North America ranging from Vancouver Island, British Columbia, Canada to Baja California. It has also been found in the Gulf of California at Bahía de los Ángeles.Adult reach lengths of 2.6 cm and have long dorsal papillae with white branchial plumes. Chromodoris dianae occurs exclusively in the Philippines, Indonesia and Borneo and can reach a maximum length of 4 cm. The body is elongated with a foot which is distinct from the upper body by a skirt like mantle hiding partially the foot. 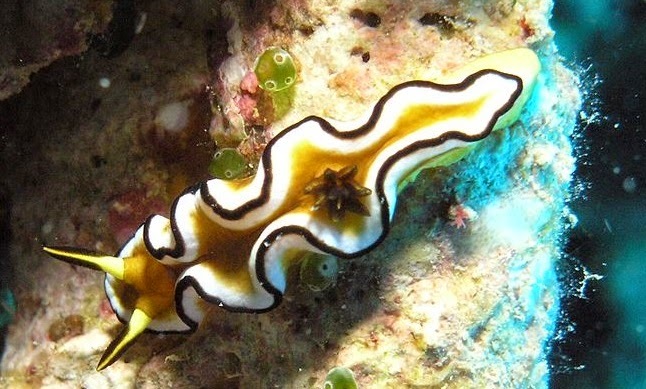 Hypselodoris apolegma occurs in the tropical Western Pacific Ocean. The species is easily distringuished by its predominantly bright red pink coloration. 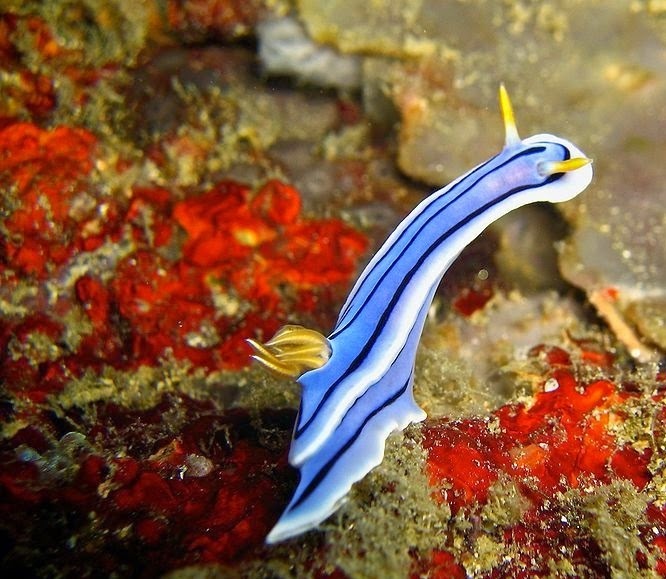 - Today there are more than 3,000 described species of nudibranchs. - Nudibranchs are casually called sea slugs, but many sea slugs belong to several taxonomic groups which are not related to nudibranchs. In simple words, all nudibranchs are sea slugs but not all sea slugs are nudibranchs. - Many Nudibranchs eat prey with nematocysts (such as the Portuguese man-of-war ), the nematocysts are consumed but not discharged. 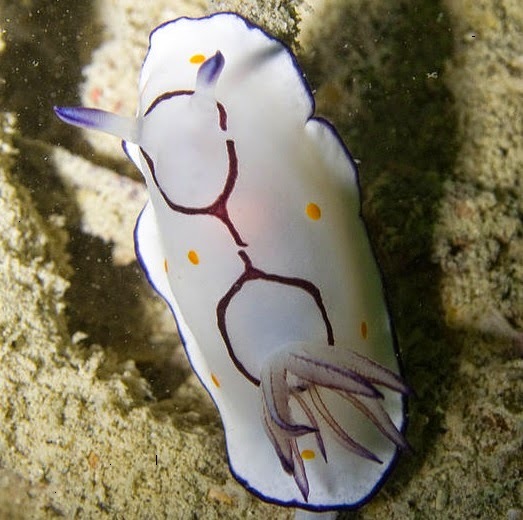 Instead, they are stored in the nudibranch's cerata where they can be used to sting predators and enemies. 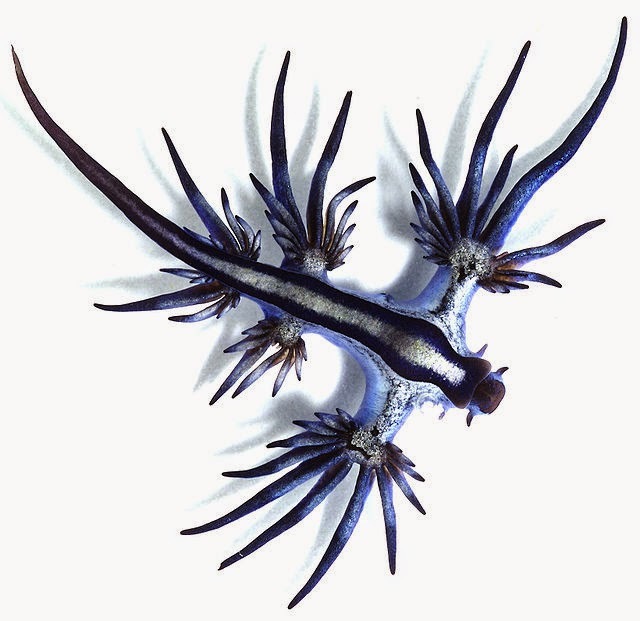 One such example is Glaucus atlanticus. - Like most gastropods, Nudibranchs also have a shell but only during the larval stage, it disappears in the adult form. - These beautiful creatures have a short lifespan. Some live up to a year whereas some only a few weeks. 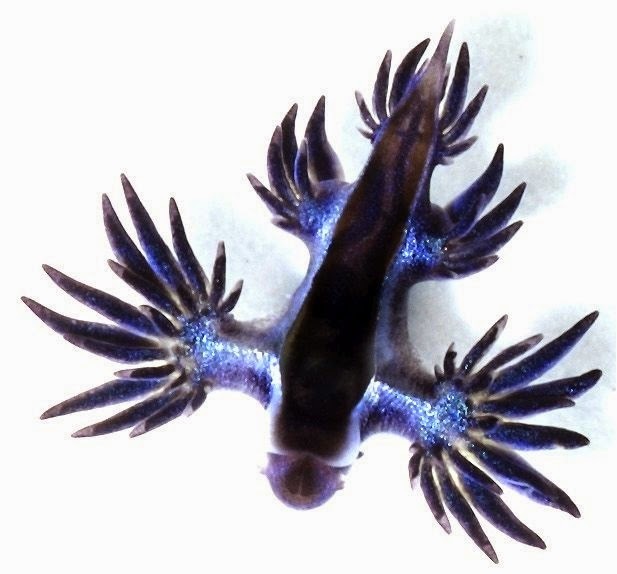 - Nudibranchs have poor vision and only see the difference between light and dark. - The word "nudibranch" derives from the Latin word nudus (naked) and the Greek work βραγχια (gills). - Some nudibranchs can absorb the chloroplasts from the algae they eat into their cerata. This allows them to photosynthesize using the energy provided by the sun. 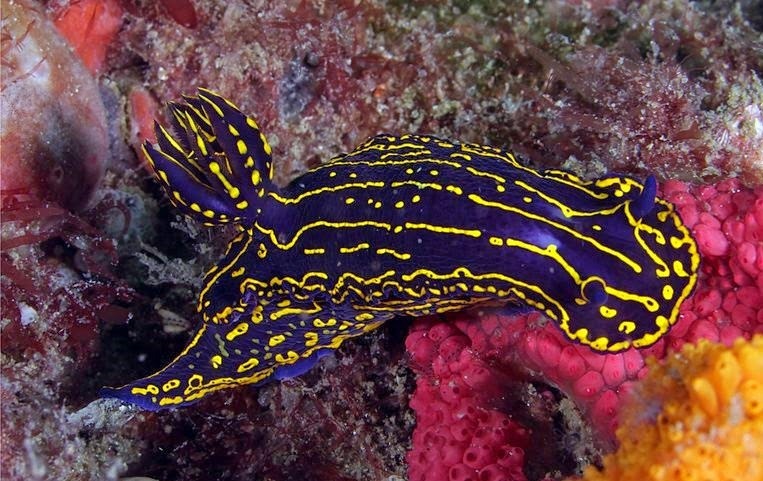 Feel free to leave a comment with your favorite nudibranchs! The purple one is so cool, I want to eat it! !